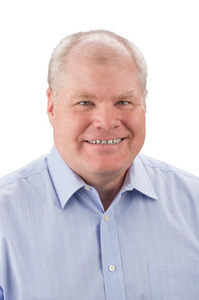 Kevin Hanley brings over 30 years of experience to Ocular Therapeutix in managing biotechnology and pharmaceutical operations with demonstrated success in technology transfer and process scale-up for the manufacturing of proteins, from development through commercialization. In addition, Kevin has authored and reviewed numerous CMC manufacturing sections for regulatory submissions. He is associated with the development and clinical progression of an extensive number of novel clinical proteins and the successful commercialization of seven protein biopharmaceuticals. Prior to joining Ocular Therapeutix, Kevin served in leadership roles with Pfizer and Wyeth BioPharma as Senior Director, Network Process Technology Innovation and Senior Director, Manufacturing. His work included a focus on increasing operational effectiveness in manufacturing quality and cGMP standards through the implementation of six sigma methodologies and on contributing to Pfizer’s biotechnology emerging market manufacturing strategy. Kevin holds a B.S. in Biology from Framingham State College and M.S. in Chemical Engineering from Tufts University.